The card itself looks beautiful. 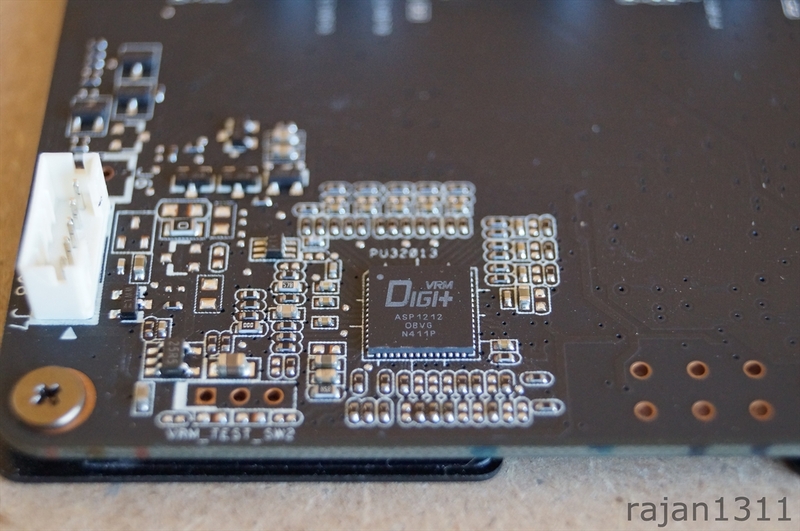 The cooler, black PCB and backplate, all give it an amazing look. The card is 11.5 inches long and about 5 3/4 inch high. The cooler is a dual slot cooler with 2 80mm fans. It uses 5 direct contact heat pipes and aluminium fins. Here we see the 10 phase power design. The VRMs are cooled by a small heatsink. The memory used is made by samsung (model no. K4G41325FC-HC28) and is rated to run at 1750MHz (7000MHz effective). 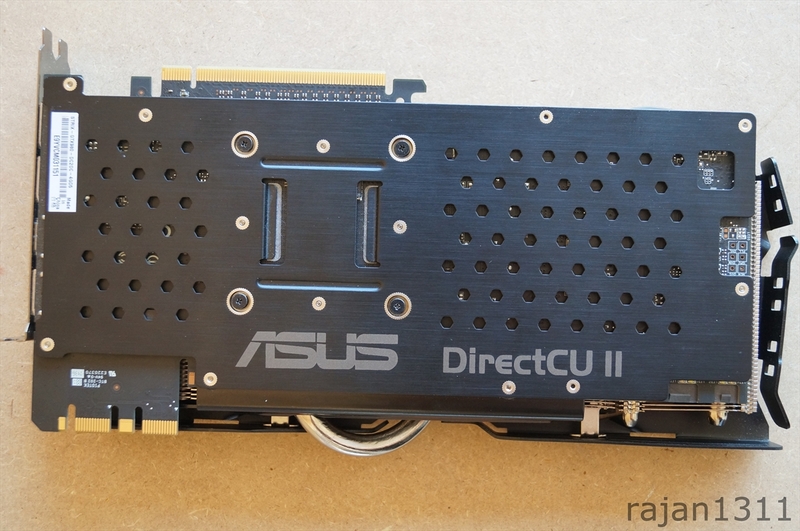 Here is the Asus’s proprietary Digi+ voltage controller. 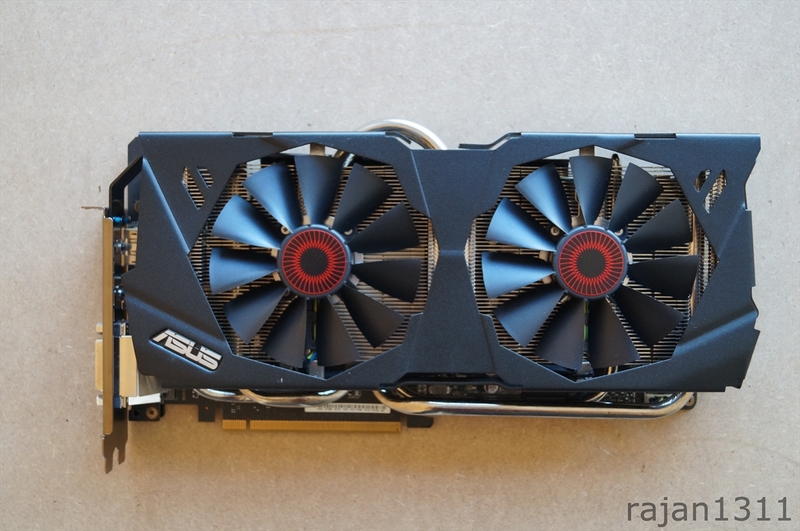 You can control graphics card voltage using their GPU Tweak utility. 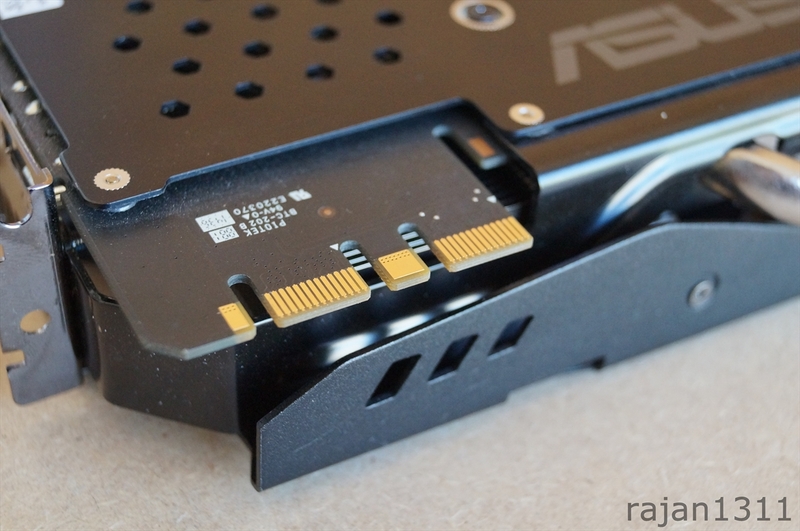 Here are some voltage pickup points provided by Asus. 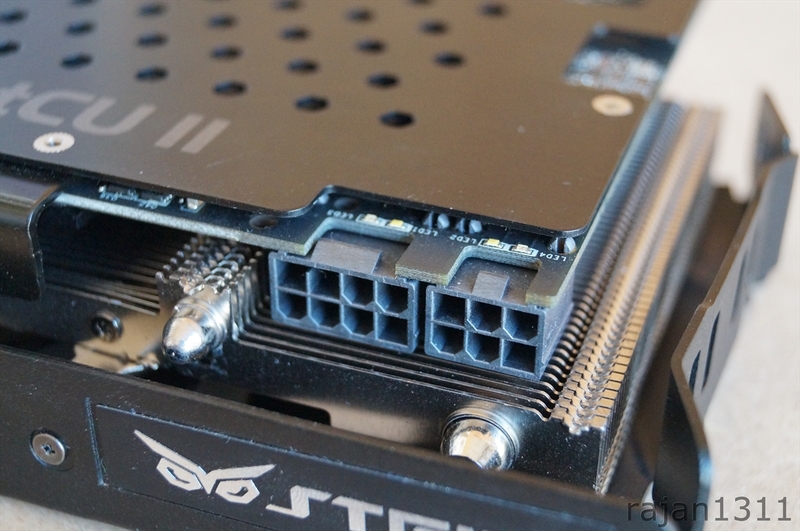 Here are the SLI connectors which let you do up to 4 way SLI for your triple 4k monitor setup! 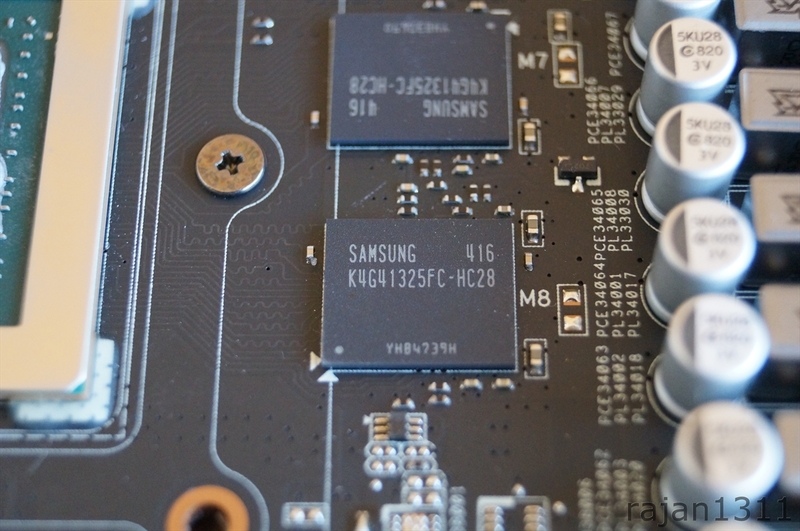 Here you can see that the card uses 1 8-pin and 1 6-pin power connector. 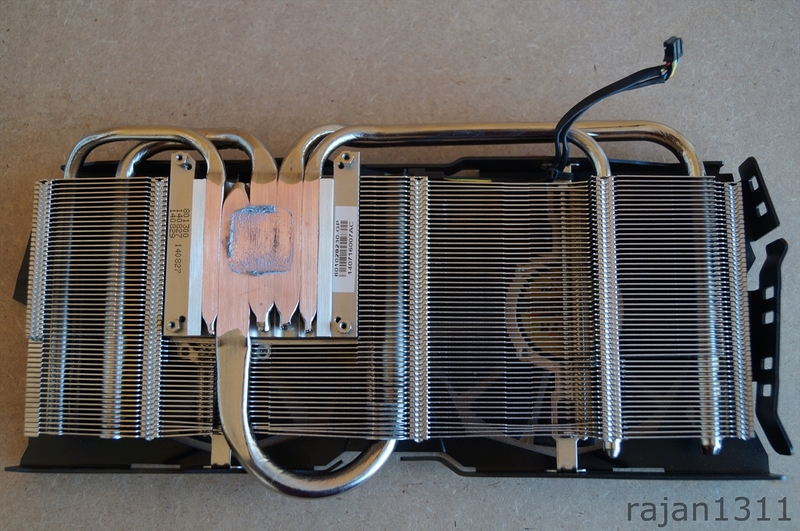 Due to the metal frame of the cooler, it does become slightly difficult to put the connectors in. There are plenty of display options on this card. You get 3 Display ports, 1 HDMI port and 1 DVI port.